London Design Festival 2015: design duo Edward Barber and Jay Osgerby are the recipients of this year's London Design Medal. Barber & Osgerby were announced as this year's winners during a ceremony at Canada House this morning, as part of the British Land Celebration of Design awards. "It's a huge accolade and it's lovely to be acknowledged by our own city," Osgerby told Dezeen. Now in its ninth year, the awards programme also presented medals for design innovation, emerging talent and lifetime achievement. The PCH Design Innovation Medal was won by UK-based Peter Brewin and Will Crawford, who invented a cement-impregnated fabric called Concrete Canvas. The Swarovski Emerging Talent Medal went to Dutch designer Marjan van Aubel, the creator of glassware, a table and a stained glass window that all generate energy from sunlight. This year's Lifetime Achievement Medal was bestowed upon Ken Adams, the German-born British motion picture production designer most famous for his set designs for the James Bond films of the 1960s and 1970s. Among the judges were V&A museum director Martin Roth, Royal College of Art rector Paul Thompson and head of culture for the Mayor of London, Justine Simons. 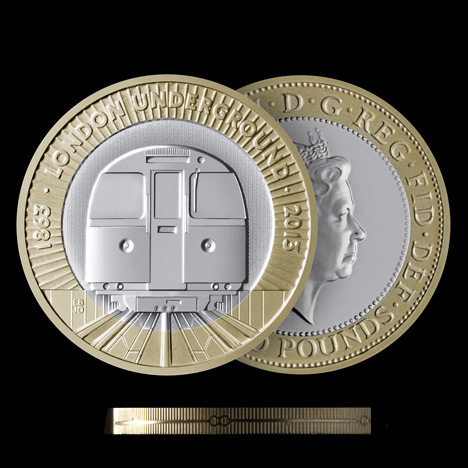 The London Design Medal has been awarded annually since 2007 to an individual or group that has demonstrated "an outstanding contribution to London and design". A selection of Barber & Osgerby's work is on display as part of an exhibition at Somerset House – a new venue for this year's London Design Festival. Shoreditch-based Barber & Osgerby are best known for designs including the London 2012 Olympic Torch, the Tip Ton chair for Vitra and a £2 coin commemorating 150 years of the London Underground. Another recent high-profile project involves designing trains for Crossrail – the new cross-London railway due for completion in 2017, which is currently Europe's largest infrastructure project. "We're really happy to be involved in these sort of civic projects," said Osgerby. 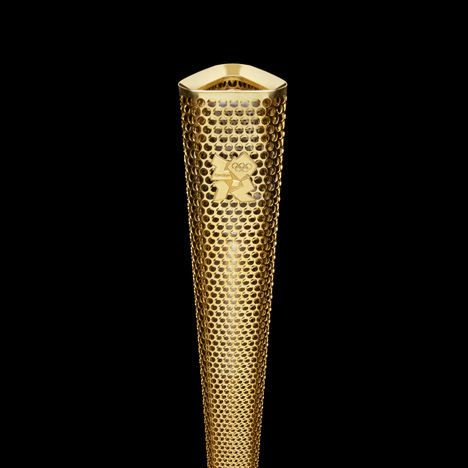 "The torch is one and helping Transport for London think about the future is another." "It's been 20 years of work that's brought us to this point so it's not like an overnight thing," he added. The duo oversee three studios – all based under one roof – with different areas of focus. 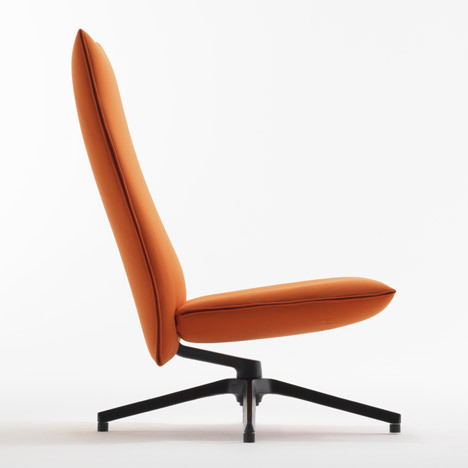 Barber & Osgerby is primarily for industrial design, Universal Design Studio is responsible for architecture and interiors, and Map works on tech-focused projects. "There are small cross­ overs on various projects but they are different teams of people, so we thought it would be better that they were recognised that way," Barber told Dezeen. "It's also more honest," added Osgerby. "There are other companies who do lots of different things and they're all under one name but if I was I was going to engage with that company I would be a bit confused about it." The products that Barber & Osgerby is launching at this year's festival include a collection of bamboo pendant lamps and a shower control unit for Axor, as well as a book filled with images that show their various projects from the past few years at different stages of development. At Somerset House, the pair have furnished a space called the Reading Room – part of the 10 Designers in the West Wing group of installations. Visitors will be able to browse copies of the book within the quiet library-like environment. 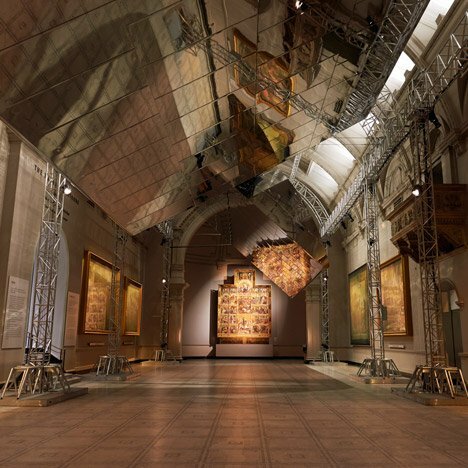 During last year's design festival, Barber & Osgerby installed two giant rotating mirrors inside the V&A's Raphael gallery and showcased a collection of furniture for Vitra. 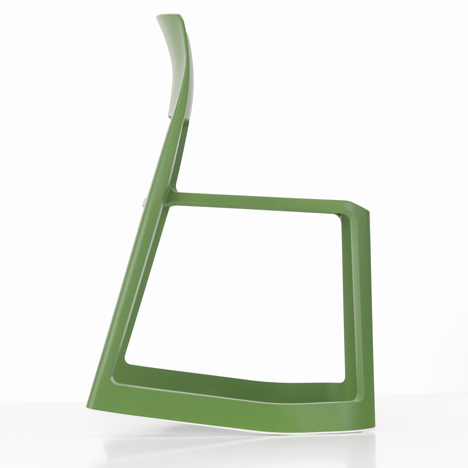 Previous winners of the London Design Medal include French designers Ronan and Erwan Bouroullec, British graphic designer Peter Saville, and London duo El Ultimo Grito. London Design Festival 2015 runs from 19 to 27 September – see Dezeen's guide to the must-see exhibitions and installations. The post Barber & Osgerby awarded London Design Medal 2015 appeared first on Dezeen.